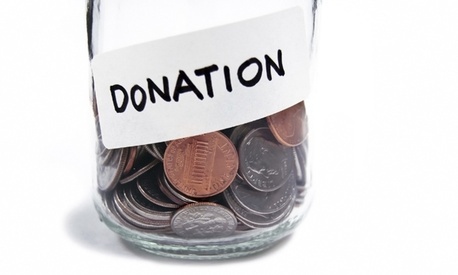 Most federal employees said they don’t plan to donate money to charities this year through the Combined Federal Campaign, according to an informal Government Executive poll. Sixty percent of 1,529 respondents indicated feds would not contribute to the government’s annual program to raise money for charities while 28 percent said they would give money and 12 percent were undecided. The poll, posted online on Aug. 30, asked respondents four questions about their past and future contributions to CFC and tallied individual votes for each query. The results are as of Sept. 10. The poll also showed that a government pay freeze and proposals to increase the amount they contribute to their pensions are taking a toll on federal employees’ good will -- at least as it relates to giving to charities through CFC. Fifty-seven percent of 1,324 respondents surveyed said concerns over changes to pay and benefits would affect their decision to contribute to the campaign in 2012. Of that total, 34 percent said threats to pay and benefits would not affect their decision to donate, while 9 percent were undecided. Some feds said in Government Executive’s online comments section that they planned to give to charities outside of the CFC program. “I have always, always contributed generously to CFC,” said a commenter. “This year, I will still donate the same amount to United Way and other favorite charities, but will do so individually, not through CFC.” Another reader expressed frustration over “being targeted as the villains in the budget drama,” and arguments that federal workers are overpaid compared to their private sector counterparts. “My days of giving to the CFC are done,” the reader said. “Charity begins at home and, where I can afford it, I will give outside of the CFC.” The 2012 Combined Federal Campaign started Sept. 1 and runs through Dec. 15. Federal employees traditionally have been very generous with their donations; $7 billion has been raised for good causes since CFC’s creation in 1961. “We do not set annual goals in the CFC and welcome all voluntary contributions, large or small,” said a spokesperson for the Office of Personnel Management, which runs the program. OPM last summer asked former Reps. Beverly Byron, D-Md., and Tom Davis, R-Va., to lead a commission recommending improvements to CFC. The panel suggested expanding the campaign’s donor pool, increase its fundraising transparency, extend the deadline for giving, use more technology to reduce costs and streamline the overall program, and create a voluntary relief fund that donors can contribute to immediately after a disaster. OPM is considering these and other recommendations. OPM Director John Berry sent a memorandum to agencies in August encouraging them to allow employees to serve as coordinators and leaders during the 2012 Combined Federal Campaign. He praised the 51-year-old program for the billions it has raised and listed reasons feds should consider giving through CFC, including low overhead costs, a steady stream of revenue for charities throughout the year and the convenience of online pledging. OPM’s inspector general in March released an audit of the Washington-area CFC, which found more than $300,000 in questionable expenses. Some of the money went toward overcharges for food, travel and other campaign expenses, the audit said. As a result of that report, OPM prohibited spending donations on meals, travel or entertainment. In light of the IG’s audit, the commission also recommended that OPM improve its oversight of the CFC program and reduce certain costs associated with it. Most poll respondents also said they’d contributed to CFC during the past two years, despite a civilian pay freeze that took effect in January 2011. Sixty-five percent said they gave money during that period compared to 35 percent who did not donate through CFC. For those who have contributed before to the government’s annual giving campaign, most said they will contribute less money in 2012: 66 percent of the 1,138 votes in response to that question were for “less,” while 31 percent said they would contribute the same amount as in previous years and 3 percent said they would donate more money than before. In 2011, federal employees pledged more than $272 million to charities, according to OPM. That’s roughly $10 million less than the amounts raised in 2010 and 2009. Note: The poll counted the number of votes for each question. For the purposes of this story, we considered votes synonymous with respondents. So, for example: 1,529 votes are 1,529 respondents. This story was updated on Sept. 11 to add comment.